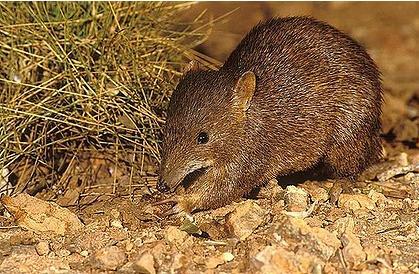 Golden Bandicoot is under threat of extinction in The Kimberley. At 6am on 1st June 1990, I started my prepared and serviced HT Holden outside my father’s place in Melbourne and executed my planned drive mission across to Adelaide then up the Centre to Kununurra in the East Kimberley. I was 26; I had saved up. 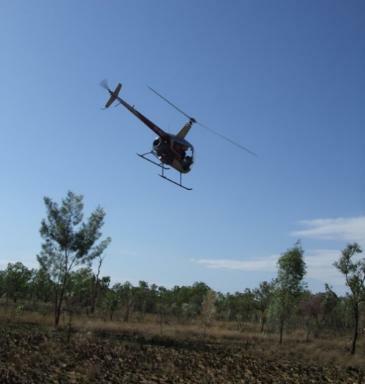 I was on a mission to get my commercial helicopter license and to work in cattle mustering in the Kimberley in the process to ‘get my hours up’. The Kimberley was a very hot and steamy; a world away from temperate urban Melbourne. Well, after some months and growing up in a remote landscape, I did achieve my license with Golden West Helicopters, then did some mustering. I took risks, recalling pivot turns over isolated beaches and I learnt a lot…what city kids should. Some memories that will remain with me (until my memory doesn’t) are the waking to East Kimberley bird calls from the pilot shack at the red dusty caravan park down the road from Kununurra Airport. When building my cross-county and low-level endorsement hours up, I will never forget flying the R22 low over wild rivers full of long lizards (crocs), or slowly navigating the thick mist at 50 foot AGL at dawn, or flying free over the wide rugged red rock landscape, or finding the eagles nest on a remote hill miles off in some north westerly direction from Kununurra. My memory of the Kimberley is of a wild special place, like Emma Gorge and the amazing remote drive to Wyndham – so isolated – so free. But it is the unique bird calls that recur in my memory of the magic natural tropical home of The Kimberley. So when I now later learn that the Kimberley and its scarce wildlife are under threat, I have no hesitation posting the following article to advocate the urgency of the Kimberley’s wildlife conservation. 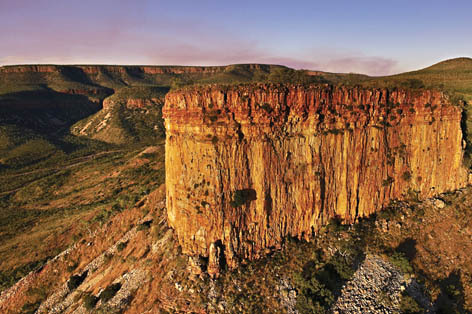 The Kimberley is indeed like nowhere else! 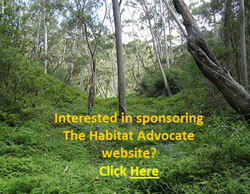 “up to 45 native species in the Kimberley region will die out within 20 years if no action is taken”. It has called for an immediate cash injection of $95 million to save wildlife like the Golden Bandicoot, the Scaly-tailed Possum and the Monjon Rock Wallaby from extinction. Even with the current $20 million per year spent on Kimberley conservation the region is still set to lose some 31 native animals, according to the report. The report is a culmination of collaborative ecological research and workshops was undertaking across the Kimberley region by scientists with the CSIRO’s Ecosystem Sciences, along with The Wilderness Society, Australian Wildlife Conservancy, Fenner School of Environment and Society (ANU), and The Ecology Centre at the University of Queensland. Its authors from these organisations include Josie Carwardine, Trudy O’connor, Sarah Legge, Brendan Mackey, Hugh Possingham and Tara Martin. Regrettably, the only contributing organisations permanently based in the Kimberley appear to be the Kimberley Land Council and Environs Kimberley. Perhaps this is half the problem; the other half being ye ol’ lack of political will, because surely Australia has plenty of taxpayer funds in circulation. If ever the ecological precautionary approach principle was a vital precondition of human actions, the Kimberley is the place where it most applies. The recurring theme throughout the report is the lack of comprehensive survey data from the region. Ecologically, the Kimberley is grossly data deficient. Consequently, humans know not what they do, nor what the impact of what they do is, nor how close the thirty odd threatened and endangered native animals are to regional extinction. 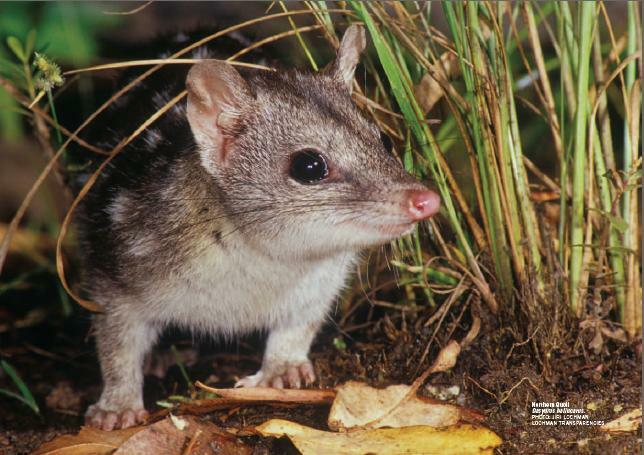 The Scaly-tailed Possum (Wyulda) , Monjon Rock Wallaby and the Cave-dwelling Frog are thought to be uniquely endemic to the region, so if they are wiped out from the Kimberley, as a species they will become globally extinct, like the Tasmanian Tiger (Thylacene) and the Dodo. Due to human encroachment and habitat destruction across northern Australia and the ferals and destructive practices they have brought with them, the still mainly wild Kimberley remains the last survival refuge for many of Australia native at-risk species. 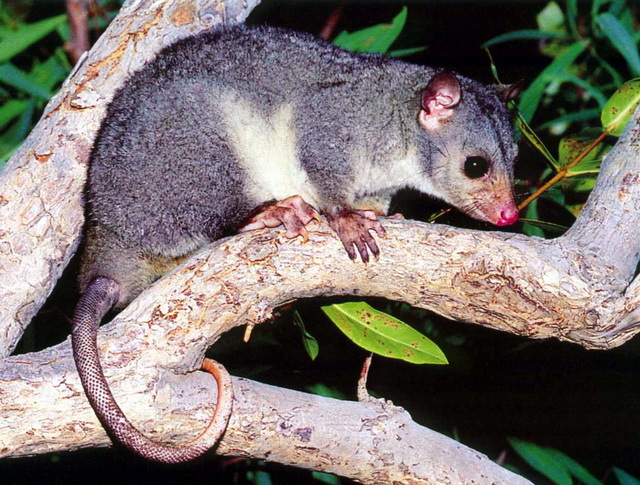 Native vertebrate fauna of the Kimberley like the Northern Quoll, Golden-backed Tree-Rat, Golden Bandicoot, Gouldian Finch, Spotted Tree Monitor, Western Chestnut Mouse, and Stripe-faced Dunnart are at serious risk of extinction. While anticipated to have low feasibility of success, the feasibility has not been started nor tested. 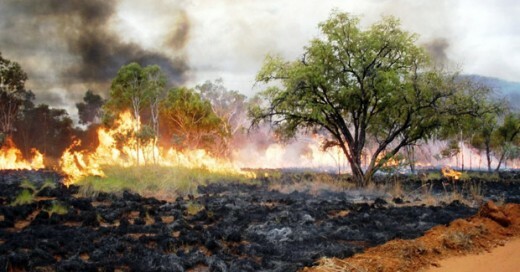 Inappropriate fire regimes pose a threat to biodiversity in the Kimberley and across northern Australia (e.g. Bowman et al. 2001; Russell-Smith et al. 2003). Historically, Indigenous people managed fire throughout the region, which included fine scale prescribed burning across a variety of vegetation types and around important cultural and food resource sites, such as rainforest patches. This most likely resulted in a mosaic of burnt and unburnt vegetation and provided buffers against unplanned wildfires around critical biodiversity refuges (Environmental Protection Authority 2006). These fire patterns have been replaced in the past few decades with one that is increasingly dominated by extensive and intense mid to late dry season fires. As a consequence, the mean age (and variance) of the vegetation has declined (Legge et al. 2010). Altered fire regimes interacting with other degrading processes, especially over-grazing, have led to structural and floristic change in vegetation, declines in vegetation cover and critical resources such as tree hollows. They are also associated with increased soil erosion after heavy rains (doubled erosion rates have been recorded in similar situations in the Top End of the Northern Territory (Townsend and Douglas 2000), leading to increased sedimentation in stream beds. These changes have severe negative impacts on native flora and fauna (Vigilante and Bowman 2004; Legge et al. 2008). Extensive flat savanna areas are more vulnerable to large intense fires, as there are fewer inflammable refugia such as rocky areas. 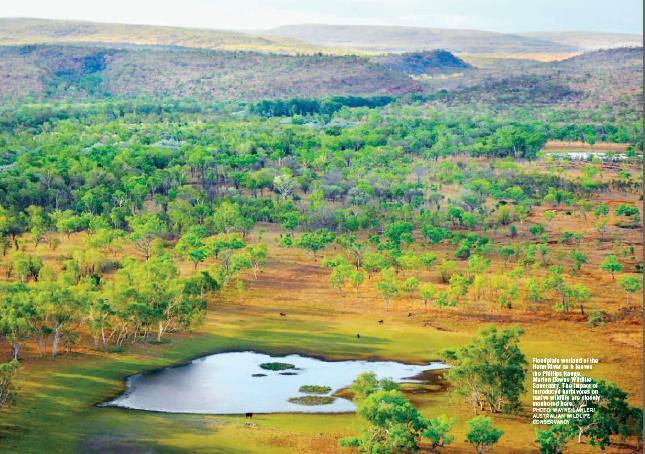 as it leaves the Phillips Range,Marion Downs Wildlife Sanctuary, The Kimberley. “Invasion by feral predators has contributed to range reductions and population declines of many native animals in Australia; small to medium sized mammals have been particularly affected. 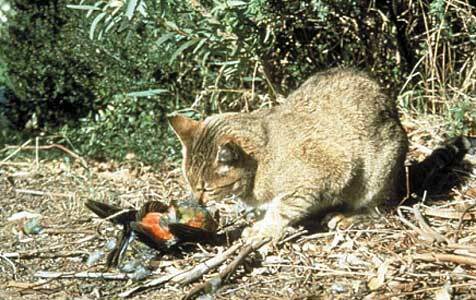 The primary feral predator in the Kimberley is the domestic cat. Cats have possibly been present in the region since the 1880s and were established by the 1920s (Abbott 2002). The number of cats occurring in the Kimberley is unknown due to difficulties in survey, although a radio-tracking study at Mornington Wildlife Sanctuary suggests there is one individual per 3 km², each eating 5–12 native vertebrates daily. If this population density of cats occurred throughout the region there would be over 100,000 individuals present, consuming at least 500,000 native animals every day (Legge unpublished data). Marion Downs Sanctuary (Kimberley), Australian Wildlife Conservancy, http://www.australianwildlife.org/AWC-Sanctuaries/Marion-Downs-Sanctuary.aspx. This entry was posted on Thursday, March 24th, 2011	and is filed under Bandicoots, Kangaroos and Macropods, Kimberley (AU), Mice (native) and Antechinus, Possums and Gliders, Quolls, Reptiles, Threats from Bushfire, Threats from Ferals and Predators.